K2 is one of the world's most difficult and unpredictable mountains. At 8,611 metres/28,251 feet, the world's second tallest mountain is regarded by most climbers as the ultimate achievement in mountaineering. On 1 August 2008 Ger McDonnell became the first Irish person to reach the summit of K2 as part of the Norit K2 team. But neither Ger nor the other climbers knew that below them an avalanche had swept away their ropes. Joy soon turned to dismay for the McDonnell family waiting at home as Ger's status on Norit's website, 'Gerard McDonnell status unknown', remained unchanged for what seemed like an eternity. The descent witnessed one of the worst tragedies in recent climbing history. 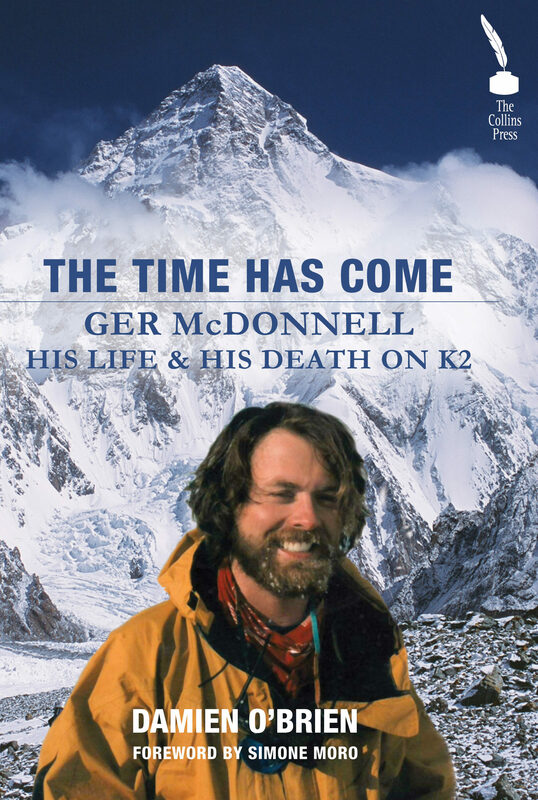 Echoing Ger's final message before he set off for the summit, The Time Has Come pieces together the details of what happened that fateful day and recounts stories from Ger's remarkable life, from his childhood in Limerick and his move to Alaska to his love of music and of climbing. Using eyewitness accounts, countless hours of interviews with surviving climbers, family, friends and others involved, photographic research and Ger's own writings, a compelling story of bravery and heroism in the face of terrible odds emerges. This epic account of 37-year-old Irishman Ger McDonnell reveals a man who was passionate about life and lived it to its entirety. • Similar to: No Way Down and Into Thin Air. • Gripping, raw, revealing story of heroism and adventure • Mike Barry, first Irishman to reach the South Pole, said of Ger that he would 'go into the abyss, give you his shirt and help you to get out'. •.